Next Thursday, April 24, 2014, over 3,000 restaurants nationwide will be donating a portion of their proceeds to HIV/AIDS related organizations. It’s called Dining Out For Life and, since 1991, millions of dollars have been raised to support men, women and children impacted by HIV/AIDS. Last year over 300,000 individuals supported Dining Out For Life simply by having a meal at a participating restaurant. This year, there are over 55 restaurants participating and proceeds will be going to Edge Alliance, an organization dedicated to providing a healthy and stable environment for the individuals and communities impacted by HIV/AIDS. You’ll find more information on their website at EdgeAlliance.org. 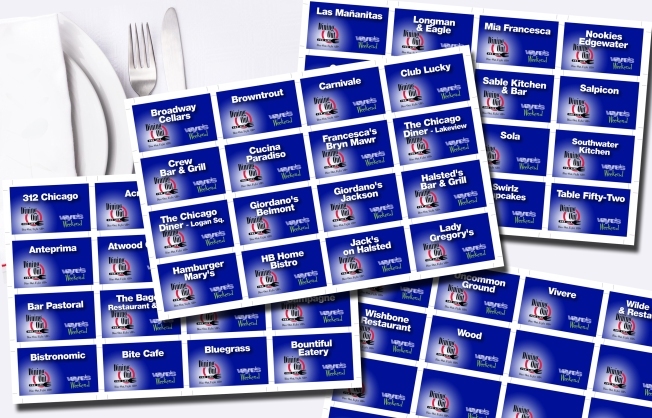 Below is a list of participating restaurants in Chicagoland. You can get additional information about Dining Out For Life and these restaurants at DiningOutForLife.com. Special thanks to Signature Room at the 95th, Club Lucky, Anteprima, Big Jones and Spacca Napoli for sending a few tasty samples from their menus to NBC Chicago for this segment.